Painting your house serves two purposes, one being aesthetics and second is protection against weather. It gives the sense of completion and newness to the house. 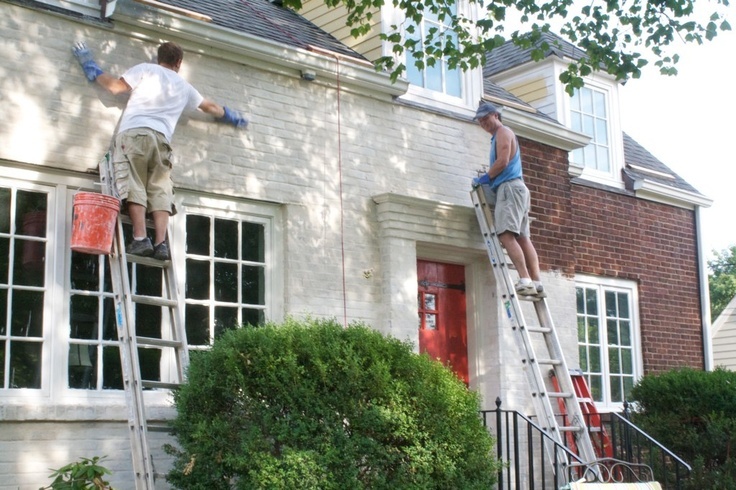 Paint provides protection to the house from sunlight, moisture, heat and other environmental factors. There are different types of paints available in the market for decorating your house such as oil paint, emulsion paint, distemper, cement paint, bituminous paint and many more. Each type of paint has its own characteristics and is used to achieve different surface finish and aesthetics. In construction, the most common surfaces that are painted are new concrete, masonry surface or plastered surfaces. If you are going to paint newly concrete, masonry or plastered surfaces, you should know the different types of coats to be applied along with pre-treatments where necessary for corresponding types of paint. Here we give you schedule for painting interior as well as exterior surfaces, which will provide an idea of different types of coats to be used on different surfaces. The paint is applied in various coats or layers, to get the perfect finish. There are different types of coats such as base coat, primer coat, undercoat, finishing coat, etc. Before you understand the schedule for painting, you should know the primary difference between the primer coat and undercoat. The primer coat is a layer of a paint that is first applied directly to the bare surface. The finishing coats are dependent on the primer coat. The primer coat is used to seal, bond and provide a strong foundation on to which finishing coat is applied. Primer coat increases the covering capacity, increases life and thus reduces the “cost of painting”. The undercoat is also a type of primer that is applied to fill in depressions and make the surface even, to hide underlying dark colours, to prevent moisture from seeping into the material and provide a smooth, uniform surface for the finishing coat. If you are going to a paint new surface, use a primer if you paint an existing surface that has been painted before, use an undercoat. In short, an undercoat is always a primer, but primer is not always an undercoat. In the case of a new building, it is not advisable to paint unless all the walls and plaster have dried completely. Ideally, paint should be applied after one year. Temporarily you may do whitewash or distemper paint. Time between two successive coats depends on the type of paint and the surface over which it is to be applied. However always allow the coat to dry. Ideally, after application, the coat should be allowed to dry for 24 hours. However, for certain types of paint, you may apply the next coat after 6 to 12 hours also. A perfect paint job of your house can be done if the painting exercise is well planned taking various factors like rain, weddings, occasions, etc. in the considerations. Preparation of the surface which is to be painted must be done correctly, before starting the actual paint job. If any defect is found on the surface which is to be painted, it must be corrected such as filling of cracks, refinishing the surface or plaster for a smooth finish of the paint, etc. For different types of finishing coats, different undercoat or primer coat has to be done. Here we have given the schedule for painting of interior as well as exterior surfaces. One should follow the schedule to get the perfect paint job. For a paint job sometimes, an undercoat layer is not required, but the primer coat is essential. Primer coat makes the bond with the subsurface as well as the finishing coat. It helps in hiding imperfects and provides a smooth layer for the finishing coat. The schedule for painting shown above is with reference to Indian Standards. Next PostNext 10+ Tricks to Brighten Up A Dark Room!